If you are a piano lover and you you own a piano, you have come to the right place. Welcome to First Movers Ltd, specialists in moving pianos! Whether it is an Upright piano or a Baby Grand piano, we are available for any piano-moving job, large or small. Fill in our Enquiry Form and receive a quote within minutes ! If you are looking for piano movers in Edinburgh, then look no further; we offer some of the best rates for piano moves in the city. Edinburgh is not only home to the Edinburgh International Arts Festival but also has many spacious Georgian buildings, so it is not surprising that there are many pianos here. Contact us for finding out about the best piano-moving prices, and if you have any questions please don’t hesitate to call us for a free quote on your specific piano-moving needs. Enquire here to book your Piano move! Residing in Glasgow? Worry not, 1st Movers provides it’s piano removal services throughout Glasgow as well. 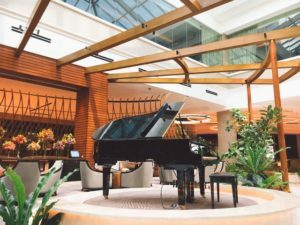 There are several variables involved in moving anything above an upright piano, therefore when deciding about a piano removal, we like to gather more details to provide an accurate quote for moving baby grand pianos, grand pianos and concert grand pianos. Please click here to provide your piano moving details and we shall be in touch with a quote and availability. Looking for a Piano Removal Service? A piano with a regular maintenance can last for a long time but since nothing lasts forever, the piano’s life ultimately comes to an end. Therefore for a proper disposal it is essential to hire someone who knows how piano disposals work. 1st movers have been working with delivering, disposals and removals of pianos throughout the country, hence you can trust us with your piano. Of course, to you it is not just a piano, you have emotions and memories attached to something you have invested years playing, thus 1st Movers shall be careful when it comes to the disposal of your piano especially when you are paying for it as well. Call us on 01313321373 or enquire here to get a piano disposal quote today. Looking for a Piano Disposal Service? Piano tuning will include a thorough inspection of your piano before the tuning procedure, which generally takes about 1.5 to 2 hours roughly. 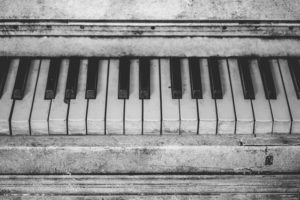 In case your piano has not been used for sometime or has been in storage, chances are that your piano might need what is called a ‘pitch raise’ which can require at least about 2 to 3 hours or multiple visits for tuning. Hence, 1st Movers shall provide all the services that you need when it comes to tuning your pianos. If your piano needs tuning, do not wait and call 01313321373 to get a free piano tuning quote now or consider reading our blog posts The A to Z of Piano Moves , Reasons not to move a piano yourself and Why Piano disposals cost as much as Piano moves for further information. We wish you good luck with your piano move!